Is this hand dryer ADA compliant? This item is not inherently ADA compliant; however, it can be made ADA compatible with a recess kit (sold separately). 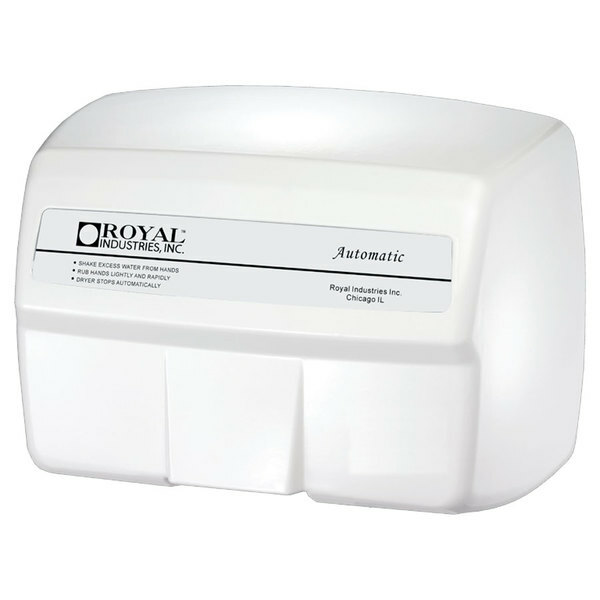 Give your employees and customers a fast, sanitary way to dry their hands while cutting down on paper towel waste with this American Dryer GX1-M GLOBAL automatic hand dryer with steel white cover! Boasting a maintenance-free, 1/12 hp permanently lubricated motor and 1500 watts, this unit generates a powerful airflow that dries hands fast while producing minimal noise. An automatic sensor turns the dryer on when hands are detected beneath it, and to protect it from damage, it also comes with shielded air intake vents and tamper resistant screws. Left to Right: 10 1/8"
Front to Back: 5 5/8"
The United States General Services Administration awards this certification to energy efficient products that are made in the USA and help reduce utility costs. Save $54.51 with our Recommended Product! Want the same great look with more power and a lower price? 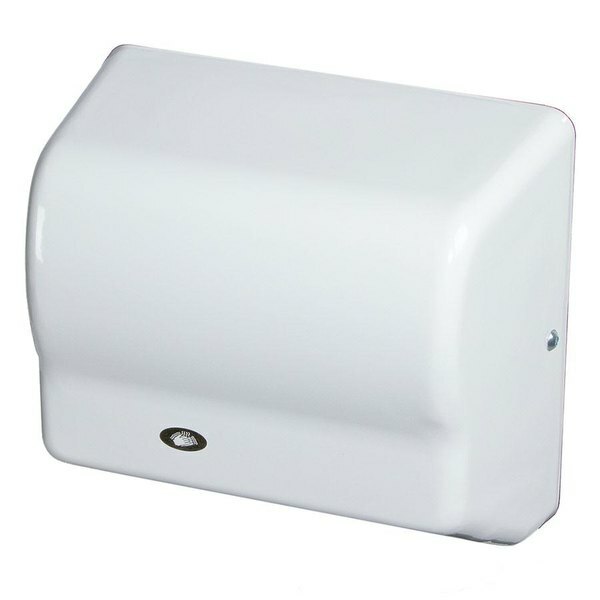 Look no further than this white cast aluminum automatic hand dryer! With 2200W of power, your guests' hands will get dried faster, saving you the cost of both paper towels and energy!